and marketers to make corporate viveo with limted budget. 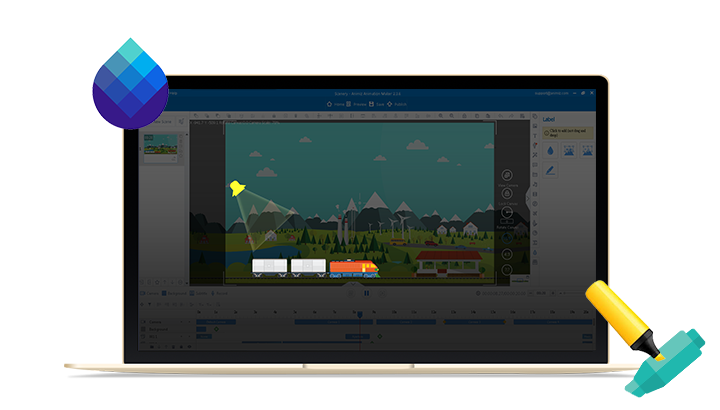 Dispense with the huge budget of hiring a professional team and massive time of learning the difficult software, Animiz is a kind of “light” software with economical and simple characteristics. Everyone is capable of making a stunning video with easy operations. There are three simple ways to make animated video. Firstly, directly import a pptx file into the software and begin to modify your contents. Secondly, make from opening an online template and replace the default contents with yours. 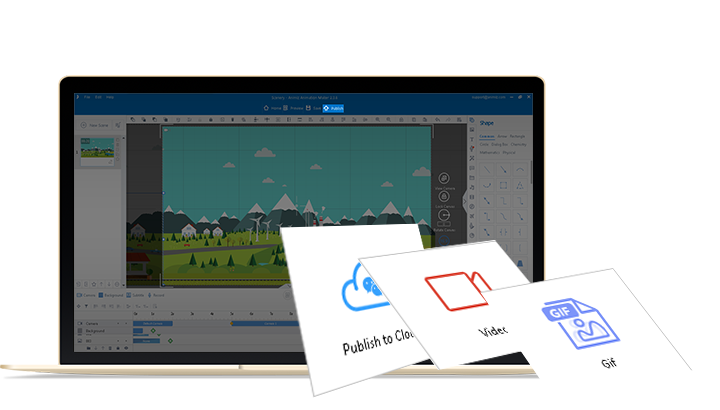 Thirdly, create your animated video from an empty project for free creation. Get your animated corporate video right now. Generally speaking, background decoration would add color to your animated video. 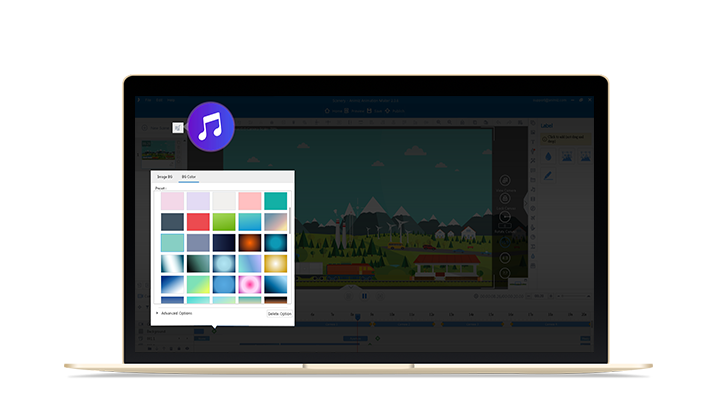 On the one hand, you are allowed to customize the background color or image according to your video theme. Of course, there are many kinds of built-in background color and images available for you. In addition, insert one beautiful song for your animated video to enhance the effect of the atmosphere. With Animiz special label effects, everyone can easily make the focal points stand out among piles of letters. There are four kinds of label effects available. Blur and Mosaic are usually used to cover some private contents or footy, helping to make other important contents be more conspicuous. Furthermore, Spotlight is the best tool to make audiences focus on what you want them to. Capture the key points by adding Spotlight for them. The other tool to emphasize is the Highlighter, the tool to give some contents the colorful points. This is a good way to classify different contents with different weight, and make the audiences catch several importance ideas in a time. Animiz is a kind of software featuring animation making. It is a simplest way to give your corporate video animation effects. You can add effects for the static objects on the canvas. There are three kinds of animation effects, entrance, emphasis and exit. And there are more than 300 effects under these three classifications. Just choose and apply, you can so easy to own a video with lively animation effects. Make your video by importing PPT, choosing an online template or starting from an empty project. Customize and embellish the Animiz project with background image and music. Make your key points stand out with the special label effect, blur, mosaic, spotlight and highlighter. Give the objects on canvas the lively animation effects easily. 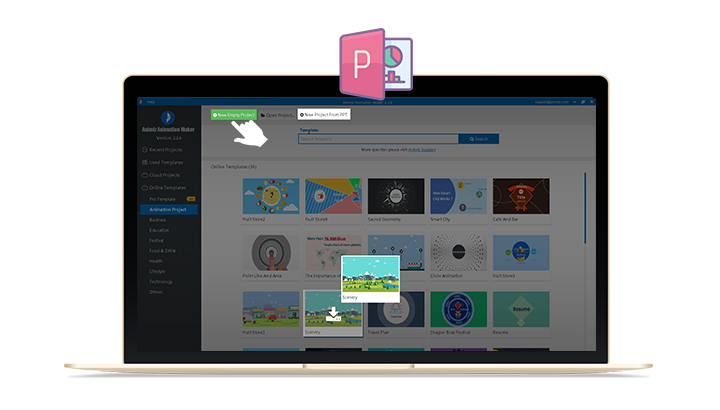 Publish the animated corporate project as video format for offline reading.